Gills? A tail? ALIENS! SHOOT IT! SHOOT IT NOW! 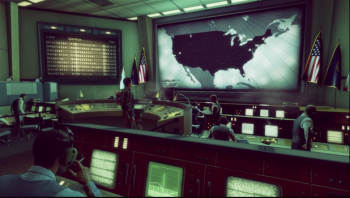 Still no word on exactly what it will evolve into - not even a confirm on that Bureau business - but 2K has announced that its XCOM tactical shooter is still in development, despite appearances. "2K's culture allows our studios the freedom to refine their visions," says 2K in a blog post, "to explore new ideas, and to deliver the best possible experiences for players." The announcement confirms that the folks at 2K Marin have been refining their fingers to the bone, to deliver a "high-stakes narrative experience" that will result in "evolution" for the title. Feel free to imagine what that evolution might have resulted in. Extra eyes, gills, opposable kidneys; anything could happen, and quite probably will. However at the moment all that can be said is that yes, there is a tactical squad-based shooter, and yes, it does fall under the XCOM umbrella. More than that is impossible to determine at this stage.